We'll contact you to discuss your district or school's needs within 1-2 business days. Get Early Adopter pricing and special access to RedCritter Classroom (Learning Management System). Spaces are limited. We are reviewing your application. We usually reply within 1-2 business days. Enhance your School's G Suite for Education with RedCritter. The RedCritter School Suite includes powerful time-saving, engagement and learning tools for teachers, students and parents. A plug-and-play enhancement for your G Suite classrooms. 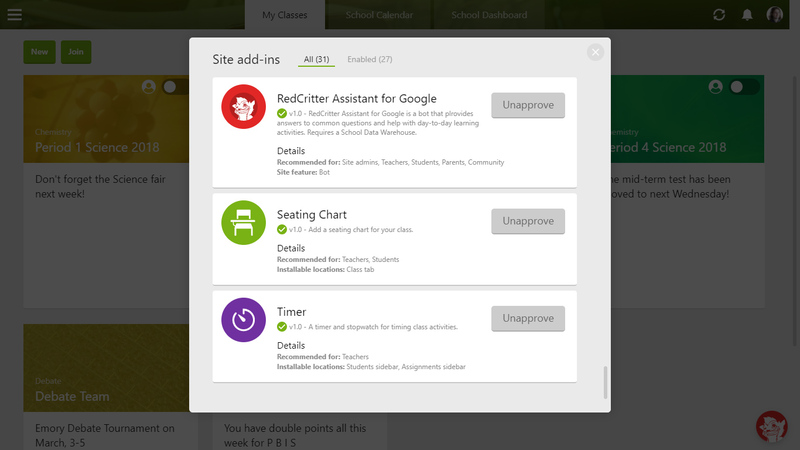 RedCritter Classroom offers the same ease of use as Google Classroom, but includes powerful time-saving and learning enhancements for teachers and students. 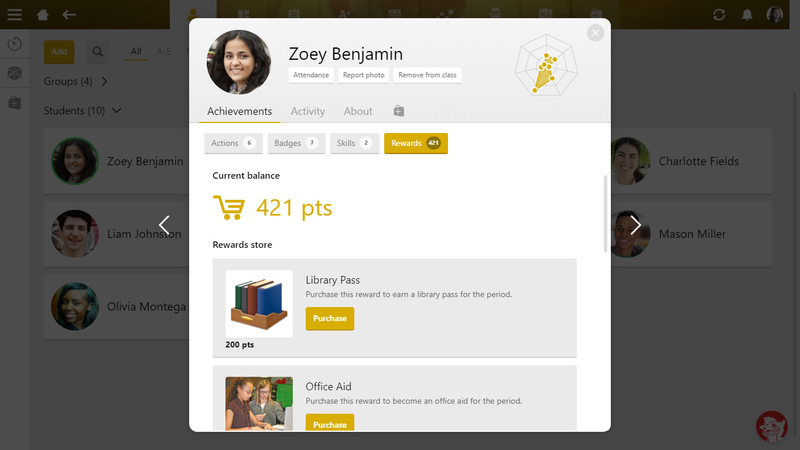 Increase student engagement using digital recognition and rewards. Positive behavioral reinforcement linked to classroom effort and achievement. Increase student teamwork with Houses. Consolidate schoolwide achievement and performance data for use with reporting and big data analysis. 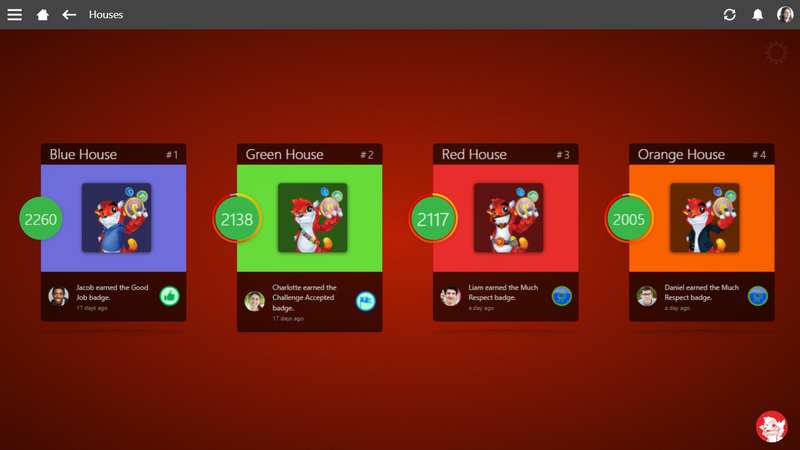 RedCritter Classroom's built-in gradebook makes entering and viewing students' grades effortless. 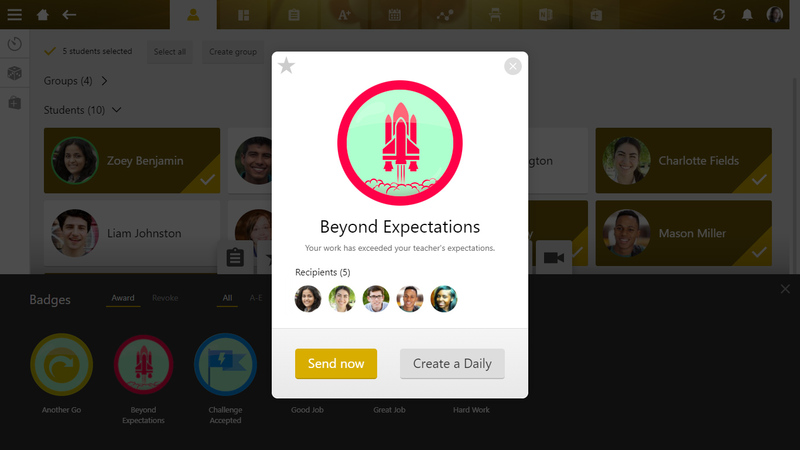 RedCritter Classroom seamlessly integrates video meetings into the classroom experience. 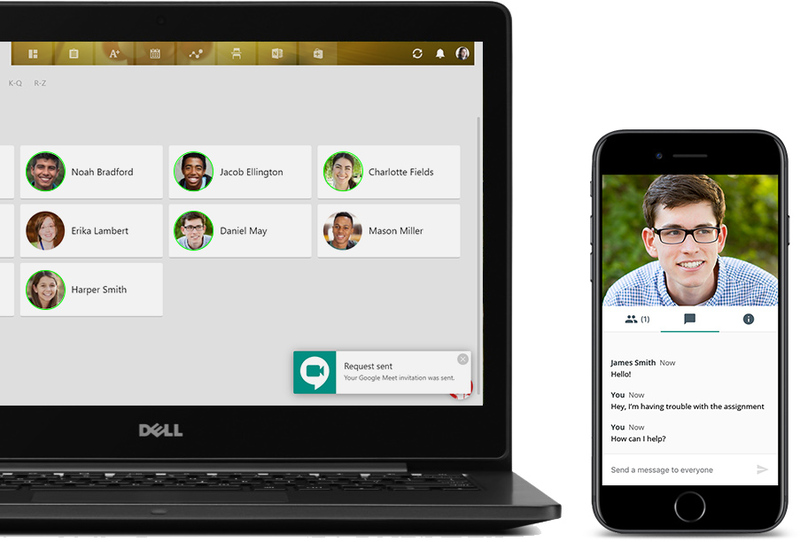 Video meetings work on PCs, Chromebooks, iPhones, iPads, Android phones, tablets and more. 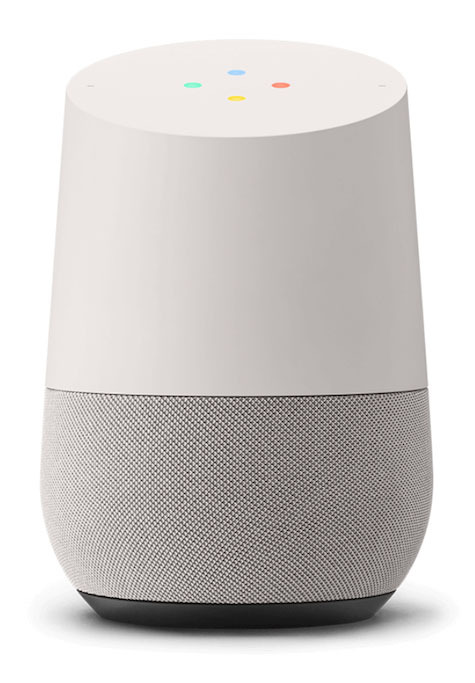 Teachers can save valuable time simply by asking Google Assistant. "Do I have any assignments ready to grade?" "What is the average grade over the last 30 days?" "How many absences has Erika had in the last 90 days?" Students can get easy access to their school and class information. "Do I have any new class announcements?" "What did I score on my last quiz?" "When is my next test?" 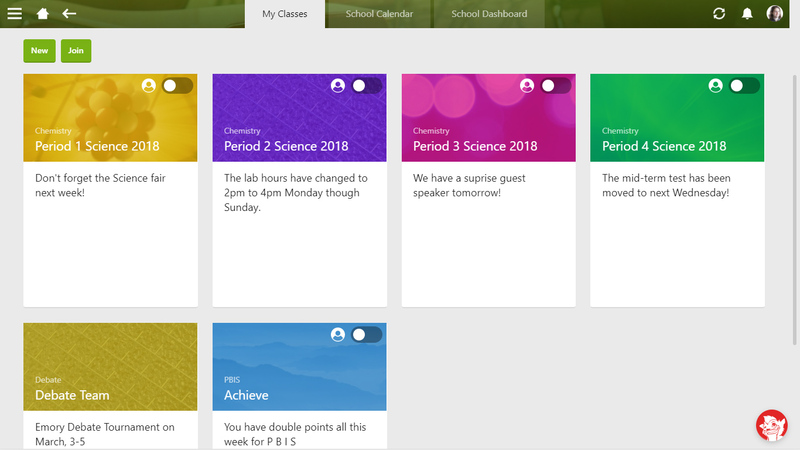 RedCritter Classroom has an add-in platform. 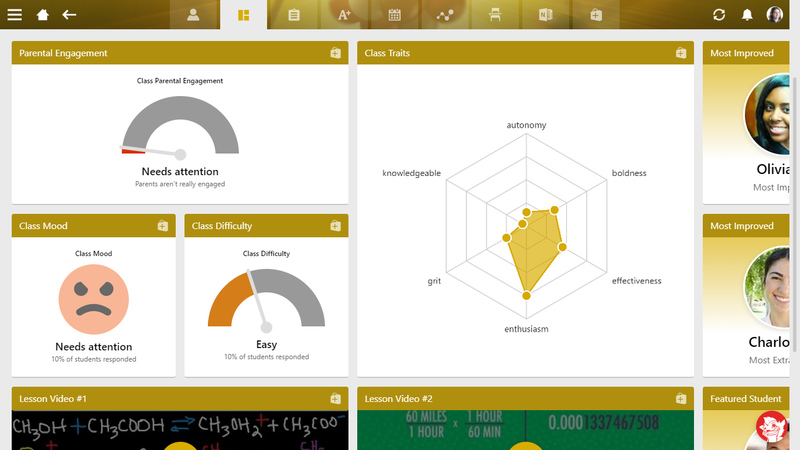 It allows schools to pick and choose features in a modular way. The RedCritter School Suite works seamlessly with your existing G Suite for Education solution. Simply swap out Google Classroom with RedCritter Classroom and gain tremendous new tools to streamline your teachers' activities and improve student outcomes.